When most Pagans think about theories of the Gods, the main theory they seem to gravitate towards is “Universalism”. Universalism is a theory which states that “All Gods are one God” and “All Goddesses are one Goddess”. Some would go even further and state that “All Gods and Goddesses are One Divine Being”. This is the typical Eclectic Wiccan view of the Gods. This is why, for example, it is so easy to mix and match Gods from different pantheons in ritual or just refer to the “Lord” and “Lady” generically and fill in the names where appropriate. This “soft” paganism, is not, however, the only way to view the Gods. Reconstructionist Hellenism is a “hard” paganism. What this means is that the Gods are all separate and distinct entities with distinct personalities, spheres of influences, likes, dislikes, etc. Each God has a different birth, different relationships with other Gods, and is never referred to generically on a regular basis. One of the reasons I gravitated toward Recon Hellenism is this fact. to me, “soft” paganism makes no sense. As a Recon Hellenist, I have a number of myths and stories to draw upon in my worship. When I read the stories and myths, I realize that the Gods have such diverse personalities that totally clash with “soft” paganism. I also realize that the conflict and strife which exists in the myths simply makes no sense if one is a “soft” pagan. I’ll use some examples to illustrate. Hephaistos got a pretty raw deal. He was born lame, hated by Hera, His mother, and it took a couple of tries to get Him a wife. Zeus married Him to Aphrodite, and for a while it seemed as though Hephaistos found wedded bliss. Unfortunately, that was not to be. Aphrodite was having an affair with Ares. Hephaistos captured the two during a tryst, and demanded recompense for this insult. Why, pray tell, would this matter if all Gods were one God? After all, Hephaistos and Ares would be one and the same, and therefore there was no affair to get mad about! The Trojan War, which is detailed in Homer’s Iliad, found the Gods on opposite sides. Hera and Athene favored one side. Ares and Aphrodite favored men on the other. Apollon had His favoured ones as well. Hera asked Zeus directly for His aid in helping Her side, while Ares and Aphrodite took Their side quietly. To make a long epic poem short, why, if all the gods were one God/dess would this have happened? As a matter of fact, could it have even happened at all? It seems fickle and capricious to me that the Gods would change sides so frequently. I can’t imagine that gods like that would be worshiped for any great length of time! Not only do events betray the Universal theory, but personalities do as well. Hestia, Artemis and Athene were chaste Maiden goddesses. Demeter and Hera bore children. Aphrodite bore children, but was also the Goddess of Love, physical and emotional. Aphrodite had affairs behind Her husband’s back. Hera spent a great deal of time supporting Her husband, even though He had a number of affairs. Hestia, Artemis and Athene never knew the love of a man. To Universalists, these Goddesses are all one Goddess. Confused? I would be if I were a Universalist. These personalities clash totally, and that is just within the Greek Pantheon! Imagine bringing Frejya in here! The chaste Maiden Goddesses would have a field day with a Goddess who gives up Herself for Magickal goodies, that’s for sure! However, when one looks at the Gods as separate and distinct personalities, this all makes sense. One of the biggest problems with Universalism is that it takes Divine beings and turns Them into archetypes. Or worse, aspects of the human psyche. It’s the only way it makes any sense in light of the diversity of the Gods. 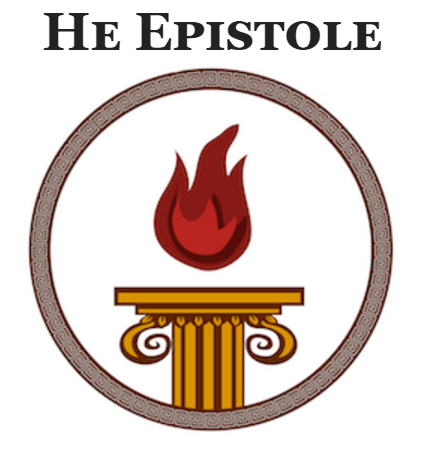 Hestia isn’t the Hearth, but a representation of the Home and Familial Ties. Ares is not an armour-clad warrior, but the represntation of War and Anger. And so on, and so forth. BUT…these are GODS. At the very least it is Hubris to try and pigeon-hole Them into some human mold. At the very best, it is misleading. The richness of myth alone shows us that all Gods are not one God, and all Goddesses are not one Goddess. I’ll close with this thought, another reason why I prefer Hard paganism to Universalism. I like my Gods to have names, faces, histories, and personalities. To me, Universalism, which puts names to Gods only when necessary, is quite boring. Rituals and prayers have a lot more meaning when I am praying to my Patron and Matron Gods when I know that They are not merely archetypes for “masculine” and “feminine” Divine energy. I have both masculine and feminine enrgies inside of me. I want to celebrate the Gods, not parts of the Human psyche.